Gorilla Wheel Locks UNIVERSAL - Lesher Motorsports, Inc. The wheel lock that set an industry trend. 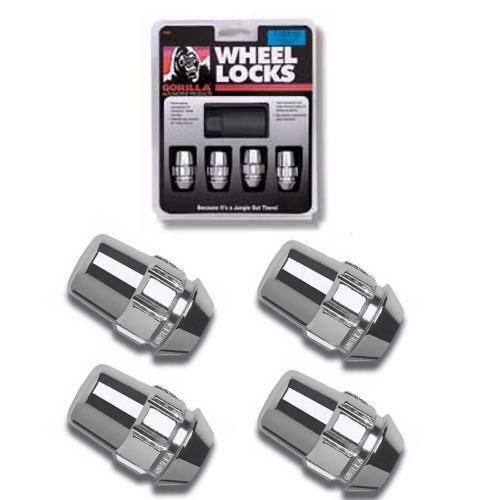 The original design that set the standard for wheel security, Gorilla Locks are the most advanced and unique locks on he market today. An external Security Pattern makes the Gorilla Lock virtually impossible to remove without the matching key. Made from cast-hardened steel and chrome plated for lasting beauty, these locks are designed for unsurpassed security.